When it comes to 20th Century Fox’s rebooted Planet of the Apes saga, Caesar is undoubtedly the glue that binds this most reputable franchise together. He’s the living embodiment of a radically advanced simian, but he’s also so much more – a leader, a revolutionary, a messiah figure. It’s an arc we’ve watched unfold since Andy Serkis’ frighteningly intelligent chimp first yelled “no!” during Rise of the Planet of the Apes six years ago. Now, after bearing witness to the Dawn of the Planet of the Apes, moviegoers are about to watch Caesar wage War For the Planet of the Apes, a valiant cause that puts our hero on a collision course with The Colonel. Woody Harrelson is on board to play the latter, a glowering skinhead with an unusual fascination with apekind – so much so, in fact, that he’s willing to stop at nothing to bring about their demise. Flanked by a full-blown army of human soldiers and hulking gorillas, The Colonel stands as a formidable opponent, and though he didn’t start this war – “I offered you the chance for peace…” – Caesar fully intends to end it. If you want peace, prepare for war, as the old saying goes. 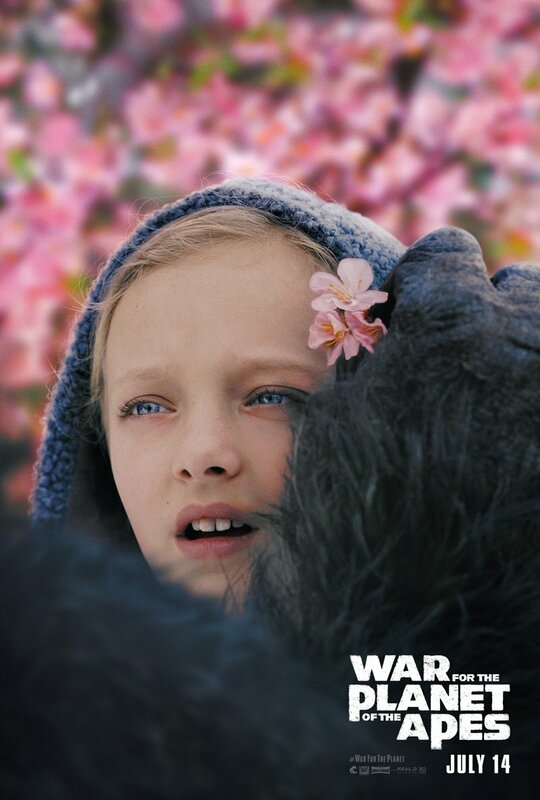 But if you’re worried that Matt Reeves’ all-star sequel will reduce Caesar to a volatile warmonger, don’t; thanks to the inclusion of Amiah Miller’s Nova – a character played by the great Linda Melson Harrison throughout the original Apes series – Andy Serkis’ furry protagonist looks set to foster a deep bond with a young girl who’s more important than she may seem. Continuity-wise, Reeves has confirmed in the past that Harrison and Miller’s Novas are one and the same, so longtime Apes fans should be on the lookout for further connections and nods to the original saga when War For the Planet of the Apes storms into theatres on July 14th.